We’re all done with squares and ready to start sewing! (I’m gonna be honest here…. this is the tedious part. But it’s so worth it in the end!) 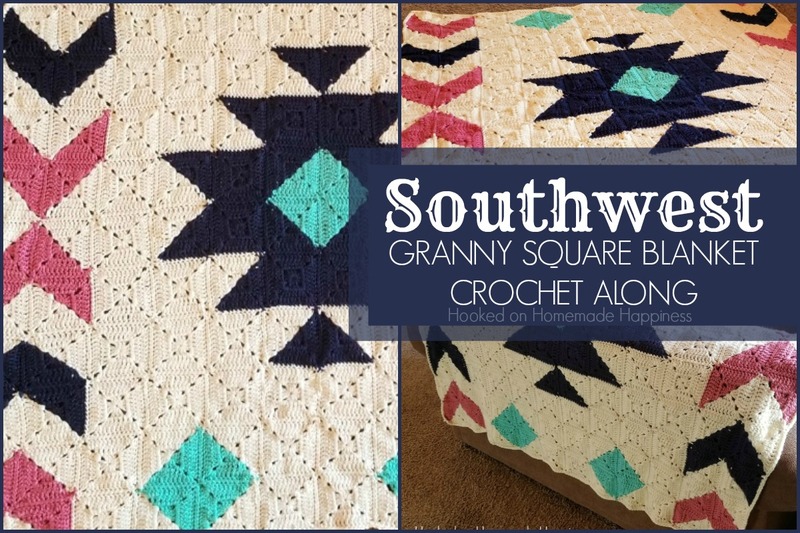 Thank you sticking with me for this CAL for the Southwest Granny Square Blanket Crochet Pattern here in Part 13! You can find the full materials list HERE, Part 1 HERE. part 2 HERE, part 3 HERE, part 4 HERE, part 5 HERE, part 6 HERE, part 7 HERE, part 8 HERE, part 9 HERE, part 10 HERE, and part 11 HERE, and part 12 HERE. 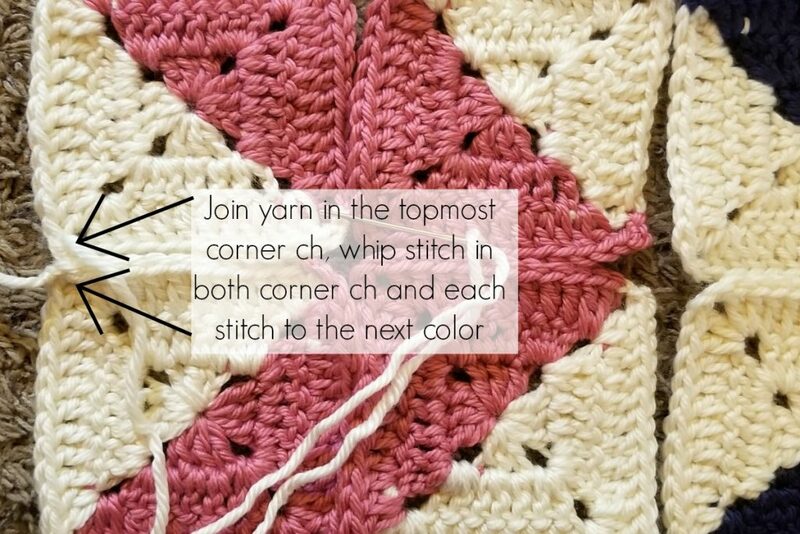 -Get part 13 of the pattern below or if you would prefer to have access to the entire pattern at once, I have a inexpensive, clearly formatted, PDF instant download available in my Etsy Shop or Ravelry Shop. 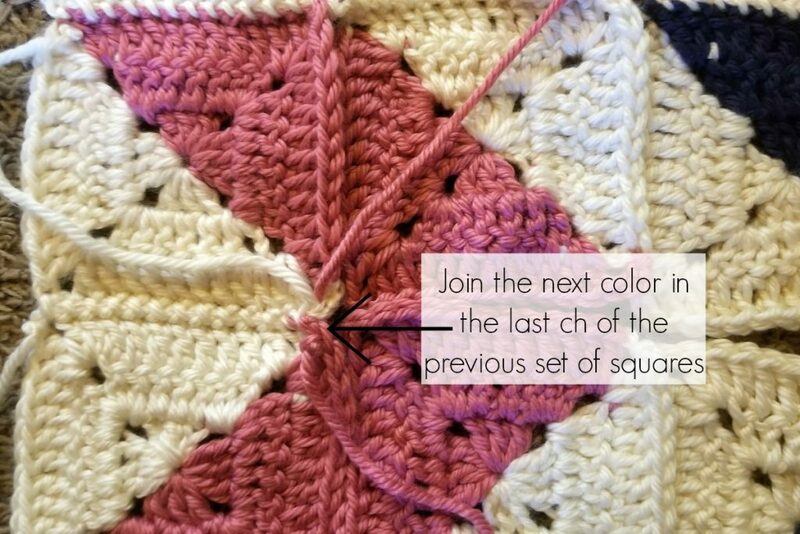 When sewing the squares, I used a whip stitch and I changed the joining color to match the squares I was joining to make the blanket look as seamless as possible. 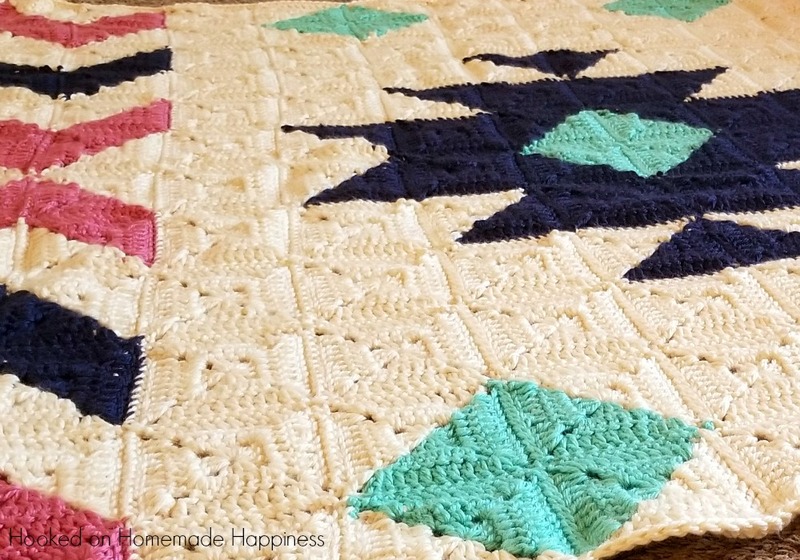 There are a lot of ends to weave in, but the seamless look it very much worth it! 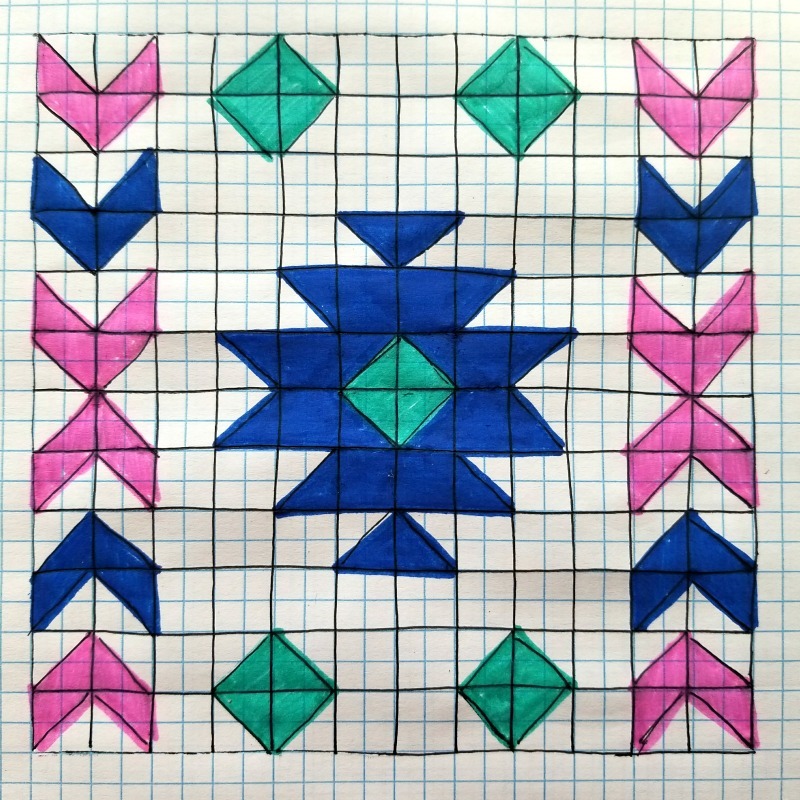 At some points there will be squares with two different colors next to each other. 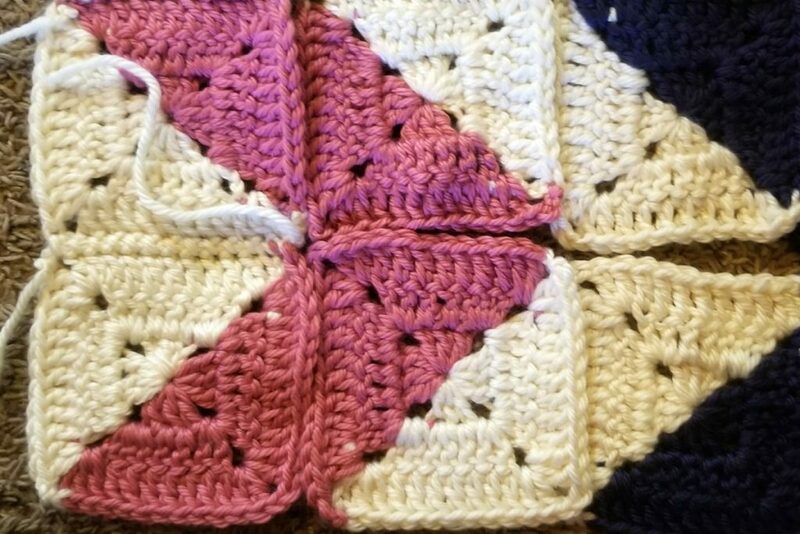 I just used the cream to sew these squares. After setting out all my squares I sewed down all the rows vertically and the across horizontally. And that’s it for this week! 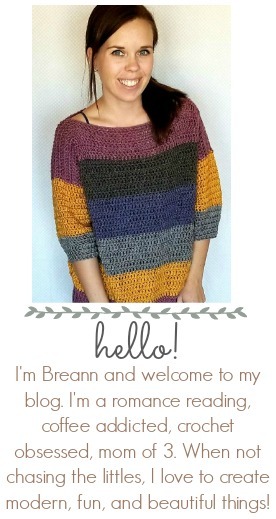 Next week is the last week and we’ll weave in all our ends and add a simple border!